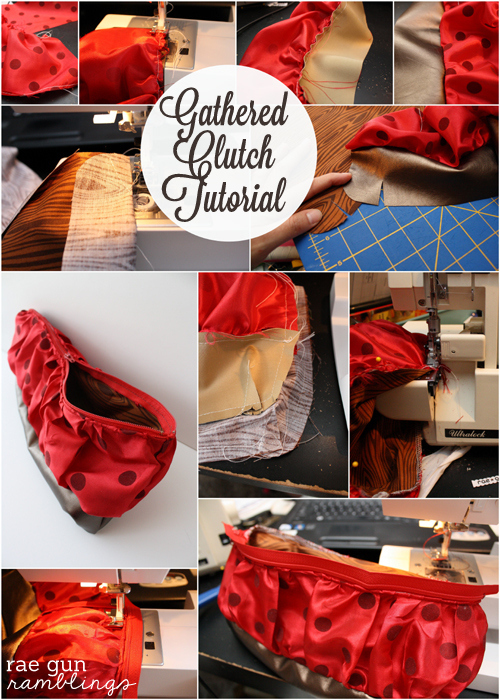 Whether you need a festive clutch for a Christmas or New Year’s Eve party, a last minute gift for your favorite sister or girlfriend, or have some fantastic fabric that is dying to be used a clutch is a great and easy project. I am not normally a zipper user so I’m sure there is a more proper way to insert a zipper but I’ll show you how I did mine. And I can safely say this method is zipper avoider safe so if zippers make you anxious I think you should still consider trying this out. 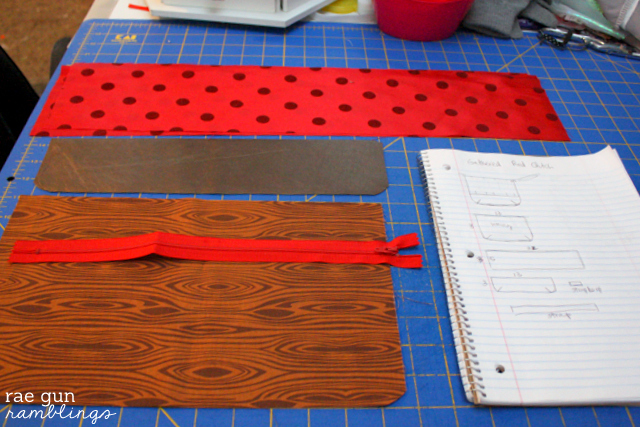 Start by cutting a curve in the bottom corners of both the bottom pieces and the lining pieces. Start by gathering both long edges of the top outer pieces by taking basting stitches and then gathering them to line up with the bottom piece. With right sides together sew the bottom edge of the top piece to the top edge (not rounded) of the bottom piece. Repeat with the other pieces. Next cut a 1 inch slit into the bottom edge of the bottom the outer pieces and the lining pieces. Fold and sew the seam closed angling out about 5/8s of an inch and taking the stitching to the point of the slit. Next with right sides together sew the sides and bottom edge of the outer pieces. Repeat with the lining pieces. Stuff the lining into the outer pieces so the wrong side of the lining faces the wrong side of the outer fabric. Serge or zig zag around the top edge to finish the edges. 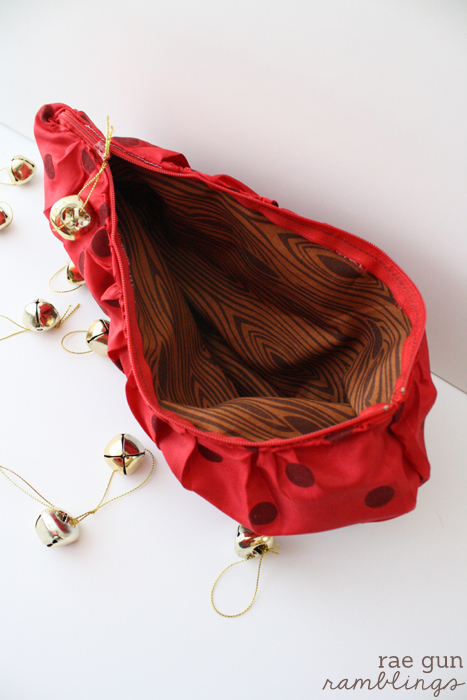 Then while folding the pouch fabric under pin in your zipper along one side of the top edge. Using a zipper foot sew down the top edge. Repeat on the other side. I have to do the second part in a couple steps so that I can get around the zipper head. It looks fancy but it’s really a manageable project and perfectly customizable to an occasion or outfit. 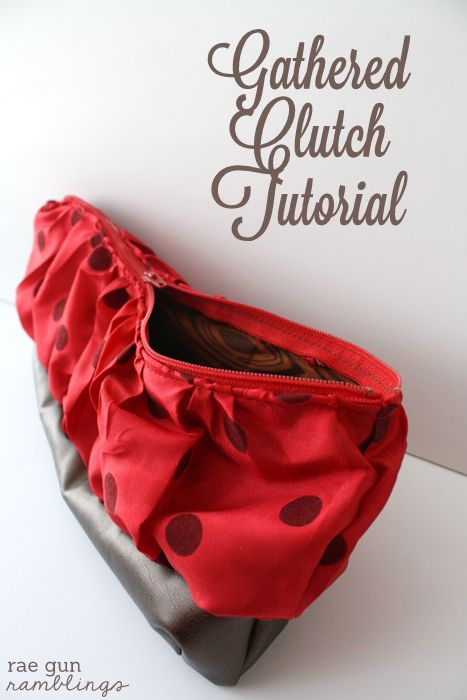 You can even add a strap to make it a wristlet (you’d want to do that at step 6). This is adorable. I am also an avid zipper avoider, but I think I’ll take your word and try it out. Where did you get the lining fabric? I love the wood print! Theresa the lining fabric is a riley blake print. I’m not sure if it’s still being sold but I know I’ve seen other wood grain stuff every once in the while in the novelty section of the fabric store or at fancier quilt shops. 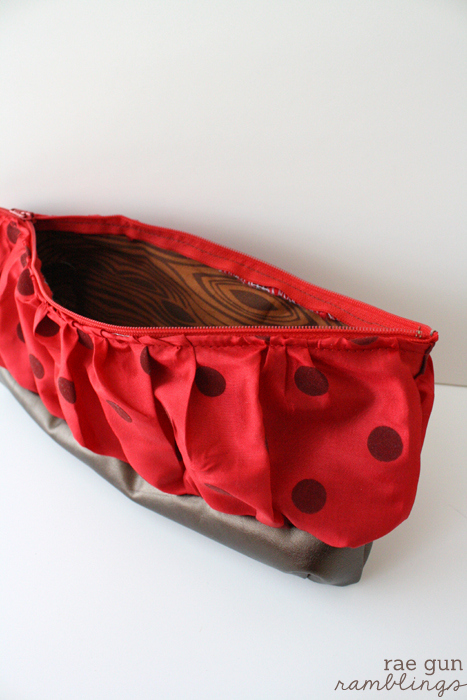 I have been wanting a cute little clutch for awhile I will have to make this, it’s awesome. Thanks for sharing.